Young adults are watching less live TV per day compared to last year, though their passion for TV content “has not waned”, according to new research by Eurodata. The research, which was presented in at an event in London this morning, claims that in the first half of 2018 young adult viewers in France, Germany, Italy, Spain and the UK watched an average of one hour 53 minutes of live TV per day – down seven minutes compared to 2017. However, millennial viewers were found to be “particularly fond” of catch-up services and internet-connected devices for watching TV. In the Netherlands, Eurodata said the time spent by young adults watching catch-up programmes has doubled in six years. In France, millennials spend twice as much time as the rest of the population watching live and catch-up TV programmes on internet screens – consumption that Eurodata said is increasing “at quite a rapid pace”. Meanwhile, in Spain and France, catch-up TV viewers have an average age of 45, compared with 53 for those who watch live TV. “In 2018, it is particularly young adults’ live consumption on a TV set that is decreasing, while the consumption of TV programmes via catch-up or on internet screens is increasing, representing a bigger share of the total viewing,” said Frédéric Vaulpré, Eurodata TV Worldwide vice-president. 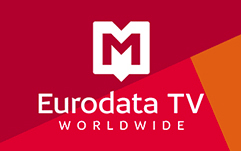 Discussing programmes and strategies designed for young adults, Eurodata’s content insight director, Avril Blondelot, added: “Humour, new visual codes and a good knowledge of social networks appeal to younger audiences.